Last October, NASA’s LCROSS mission slammed a spent rocket booster then the LCROSS spacecraft itself into the moon. 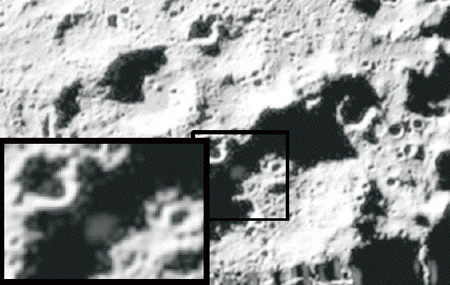 No debris plume was seen from Earth, but observations from LCROSS of the booster hitting indicate the presence of water on the moon. How much water? Most news accounts don’t say, but the Science magazine article does. 100 kilograms of water was detected from an impact that created a crater estimated to be 20 m wide and 3 meters deep. So 100 kg water in about 500 m3 of regolith = 0.1 g/kg. (Googled a reference giving 2.3 to 2.6 g/cm3 as lunar regolith density). The article gives a higher estimate for water, 0.1% to 10%, higher than my crude 0.01% estimate. Which is great–enough water to extract easily and live off. Best news for space exploration in thirty years! The lost decade, or thanks for nothing! US GDP in constant dollars per capita grew 9.7% over this period, so the country grew 10% richer and if it was distributed evenly everyone’s income would have grown roughly 10%. 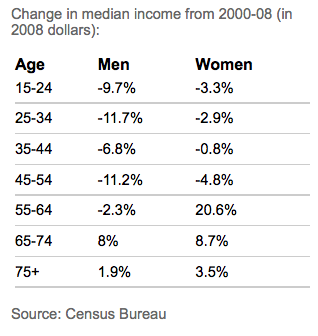 But not–instead most of the $$ went to a small slice of the population, and that doesn’t show up in this table. At a rough estimated weight of 10-9 g/cell this works out to 10-3 g per second, 100g per day of cells die. I had an idea for a game. It’s a memory game, the idea is to flash a molecule on the screen for a few seconds in the left hand window, then in the window to right the player builds the molecule. That’s basically the game. The player learns to recognize interesting chemicals, learns to break down larger molecules into functional groups as a way of remembering them, and perhaps learns what they are. As the molecule fades it would be replaced with a picture that goes with the molecule–oranges for citric acid, as a memory aid or a clue for the chemically astute player. The game could be made easier by having the molecule fade out slowly, or flashing on periodically, or visible through a port. I don’t really want to write a molecule editor myself, that would take a lot of time and also it turns out to have been done by chemist/programmers many times. Yeah! Some very good molecular editors are out there. I was particularly impressed with Molinspiration WebME editor. Two problems though, it’s 2D and not open source. Looking further, I found BKchem and molsKetch both of which look good and are GPL licensed but are 2D. Jamberoo is Java based but the molecule editing worked too slowly for a game. 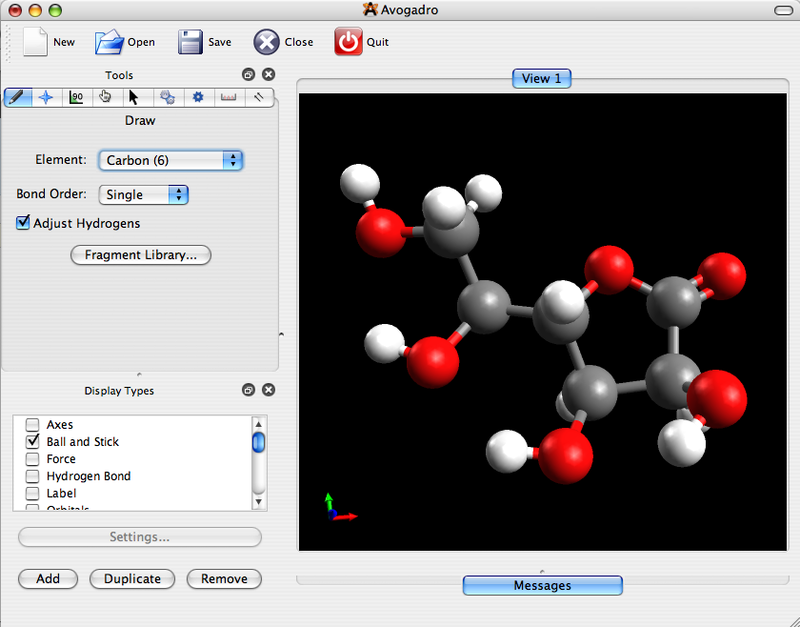 Avogadro is 3D, is GPL licensed so the source code is available, and works on Linux/OSX/Win. It looks good and works well, so I think it would make a good starting point for a game. Consider a large nanobacteria, 30 nm by 100 nm. It has an approximate volume of 7e-23 m3. How much DNA could this volume contain? Pop up a DNA molecule in Chime and get an estimate of dimensions: 20 bp run for 6.4 nm, so 0.32 nm / bp. The double helix has a radius of 1.3 nm. Bps = length / bp length = 1.3e-5 m / 0.32 nm = 42 kb of DNA. A low average bacterial gene length is 300 bp, so a nanobacteria could hold a maximum of 42 kb / 300 bp = 139 genes. The minimum number of genes for an independent living organism is 300 – 500, so a nanobacteria canâ€™t have enough genes. It canâ€™t exist. But letâ€™s run the other numbers, on proteins. A typical protein is 3 nm, lets call it a cube with a volume of (3 nm)3 = 2.7e-26m3. A nanobacteria can hold 7e-23m3 / 2.7e-26m3 = 2600 proteins total. Low but not a hard limit on existence. Now letâ€™s put this together and describe a nanobacteria. 30% of the volume is water and small molecules. Of the remainder, letâ€™s say 2/3 is DNA and 1/3 is protein. The nanobacteria contains enough DNA for 65 genes, and 600 proteins. Which means nanobacteria canâ€™t exist, they are too small. There are quite a few unlikely bits in biology (pretty much every rule in biology has exceptions), so Iâ€™ll qualify it and say it is quite unlikely that nanobacteria exist. And to my estimates, add the evidence from projects to mass sequence DNA extracted from the environmental samplesâ€“if nanobacteria exist, their DNA would turn up in these projects, and no new phylum of sequences has emerged. An E. coli by contrast is 1 Âµ x 3 Âµ and can hold 600 Mb of DNA and 20 million proteins. Itâ€™s genome is actually 4.6 Mb, and the extra space is taken up by a cell wall and protein.